New research suggests an unusual new approach that might change things for those who suffer from eczema: applying live bacteria from healthy people to the skin of victims. I hate my eczema. When it flares, the skin on my eyelids becomes red and angry. The nape of my neck itches and burns. My earlobes prickle and weep from irritation. Mostly, I feel like a hostage in my own skin. I've tried countless remedies - including elimination diets and prescription creams and ointments. They provide a slight respite, but there's been no magic cure. New research, though, suggests an unusual new approach that might change things for me and the 32 million other Americans who suffer from eczema: applying live bacteria from healthy people to our skin. According to research by the National Institute of Allergy and Infectious Diseases, when the skin of a small group of adults and children with eczema was coated with live Roseomonas mucosa bacteria from the skin of healthy individuals, the severity of symptoms and need for medication for most of the patients declined significantly. While both these conditions are different from each other, the root cause of the conditions is same, i.e. poor gut health. This natural remedy can help in dealing with these skin conditions at ease! 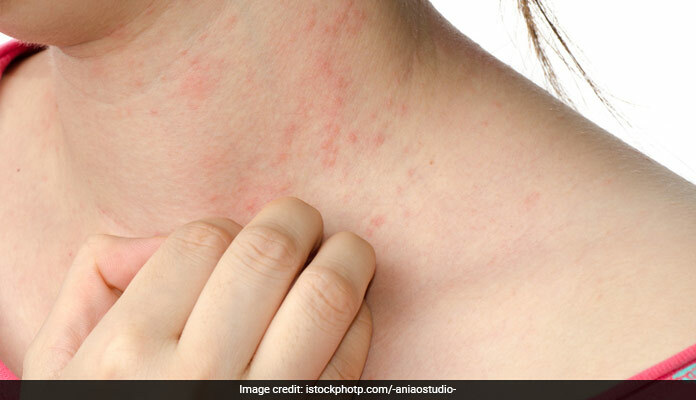 Eczema flares are likely to get worse during winters and addressing this concern is celebrity dermatologist Dr Kiran Lohia Sethi. Read below to know some preventive tips from her. "I only saw participants twice, when they first came in and when they were done. Some looked like completely different people," said Ian Myles, lead author of the early-stage study. "We're already seeing strong results with one species of one bacterium. [The therapy] is only going to get more nuanced and more refined." Eczema, or atopic dermatitis, occurs when the skin doesn't function normally. It doesn't retain water well and allows bad bacteria to flourish and enter the body, causing a surge of inflammation that can lead to dry, flaky and inflamed skin, said Joseph Fowler , a clinical professor of dermatology at the University of Louisville, who was not involved in the study. It is also linked to an increased risk for other allergic conditions, such as hay fever and asthma, according to the National Institutes of Health. The telltale rashes associated with atopic dermatitis typically appear in infants and children, and approximately half outgrow the condition by puberty. For a small percentage of individuals, symptoms first appear in adulthood. Overall, women are more prone to the condition than men, and multiracial, white and Asian individuals experience it at a higher rate than others. I'm a prime candidate for eczema. While no one in my family has the skin condition and I didn't experience it as a child, I've suffered from a long list of food allergies, hay fever and asthma since childhood. I first noticed a small red, inflamed patch of skin on my upper lip during my freshman year of college. I thought it was an allergic reaction to something I ate, but it didn't calm down after the usual application of hydrocortisone ointment. After about a week, my skin returned to normal, and I didn't think much about it. Over the next 10 years, eczema surfaced off and on. There were long stretches when my skin was smooth, soft and healthy. Then, out of the blue, dry, irritated blotches would take up residence in the crooks of my elbows or the back of the knee for a week or two before I returned to normal. This cycle repeated, and each time the patches would spread to more areas of new, fresh skin. Now I must deal with one to two flares per month, each lasting a week or two. My condition gets worse in hot, humid weather and with excessive sweating, which can make exercise challenging at times. Stress, too, seems to stoke the eczema. There is no known cure. Most treatments - such as topical steroidal and nonsteriodal ointments, antihistamines, antibiotics and immune suppressors - decrease the intensity of symptoms and the number of outbreaks, but they don't address the root cause of the condition, according to Fowle. Rather, they offer temporary, slow-acting relief, and they can be expensive. While there's disagreement within the research community whether eczema is the result of genetics or something in the environment, scientists have begun to pay closer attention to the microorganisms living on the skin, or the skin's microbiome. According to the National Institutes of Health, the skin of people affected by ezcema tends to have a lot of a type of bacteria - Staphylococcus aureus - that can both cause skin infections and trigger immune responses that increase inflammation and worsen symptoms. "Bacteria on the skin tend to live in harmony. 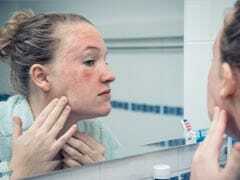 For people with eczema, however, the bacteria tends to get out of whack and out of balance," Fowler said. Researchers noticed a pattern between where eczema occurs on the body and the types of microbes present - or absent - in that area, suggesting that the ecosystem of bacteria on the skin plays a role in development of the skin condition. By restoring the balance of good and bad organisms of the skin microbiome, they hope to improve the skin's barrier function and short-circuit the body's immune response. For the first part of the new study, NIAID researchers enrolled 10 adults with atopic dermatitis. For six weeks, they received twice-weekly treatments of R. mucosa from healthy skin, sprayed on their inner elbows and one other area of their choice where eczema typically showed up or was severe. (Studies in mice and on human skin cells had shown that R. mucosa could alleviate signs of eczema.) Participants continued their regular eczema treatments such as topical ointments and medication. A second part of the study looked at young people, enrolling five children between the ages of 9 and 14 with eczema. They received twice-weekly R. mucosa treatments for 12 weeks, followed by every-other-day treatment for another four weeks. After the treatment period, researchers continued to assess the treatment's effect. Myles says he wasn't expecting to see a big difference, especially among adult participants. 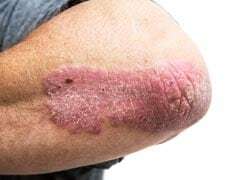 Yet, six of the 10 adults and four of the five children experienced a greater than 50 percent improvement in the severity of their symptoms and a decrease in S. aureus bacteria, the overgrowth of which is believed to worsen eczema symptoms. Most decreased their use of steroid creams and treatments, and their quality of life improved, too. The adults continued to see a benefit nine months after treatment. "The hope is that by manipulating the bacteria on the skin, we can make people better and the bacteria will stay in place and continue to provide a therapeutic benefit," said Myles. "This potential treatment is really interesting because it doesn't involve using medication and may be less expensive," says Fowler. Myles says he and his NIAID colleagues will now expand the study to more children and adults, and will examine the DNA of all volunteers to see whether there's a genetic reason why participants did or did not respond to treatment. They also plan on eventually testing different bacterial species and fungi. This additional research may begin early next year; it could take several years before a treatment becomes available for people like me. NIAID researchers aren't the only ones interested in manipulating the skin microbiome to uncover new therapies. Researchers at National Jewish Health in Denver are conducting a clinical trial to see if a topical cream containing beneficial bacteria helps to promote a healthy balance of bacteria and restore skin functionality. Some pharmaceutical and health-care companies are also pursuing research. 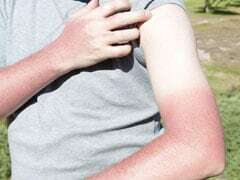 For now, Fowler has this advice for eczema sufferers and others with skin issues: Start with good skin-care habits by avoiding harsh soaps and scratchy clothing and by using a good moisturizer. If you're experiencing a flare, topical steroids generally do the trick but can cause thinning of the skin if they're used too often. Nonsteroidal treatments such as Elidel and Eucrisa work, too, and are safer to use on the face than steriods. Low-tech methods such as diluted bleach baths may reduce bacterial growth on the skin while prescription medication such as methotrexate and Dupixent can mediate or suppress an overactive immune system, reining in an eczema flare. And while you can try elimination diets to pinpoint food triggers, Fowler says, "there's no good scientific data that shows that food allergies play a role in eczema for the vast majority of people." As for me, my doctor recently prescribed a new cream. Within a week, it cleared up persistent eczema patches on my inner elbow, fingers and neck, and I thought I had finally found my miracle cure. However, just as I started to get used to my smoother skin, the patches began to reappear. I've reverted to my grin-and-bear-it approach, suffering through the worse of my outbreaks in the summer heat. It's frustrating to encounter so many dead ends and not find lasting relief. A possible new therapy using live bacteria can't come soon enough.